Are Broken Capillaries really Broken ? Quick Answer: No, except of eye case ! It is a common misconception that broken capillaries are broken; they are actually enlarged or dilated which then becomes visible on the surface of the skin. 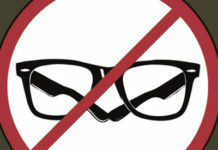 This can become a cosmetic issue, especially if there are several dilated blood vessels on the face. However, there is single exception called scientifically Subconjunctival hemorrhage when a tiny blood vessel breaks underneath the clear surface of the eye. Are there any different types of Broken Capillaries? 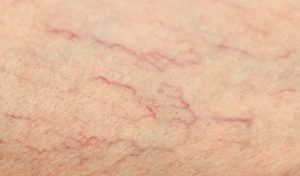 Spider veins (broken capillaries) are similar to varicose veins, but they are smaller. They are often red or blue and are closer to the surface of the skin than varicose veins. They can look like tree branches or spider webs with their short jagged lines. Spider veins can be found on the legs and face. Broken capillaries are more common with advanced age because the skin becomes thinner. Broken capillaries are actually dilated blood vessels. These broken blood vessels can become more prominent with sun exposure, harsh cleansers, alcohol or even some food allergies. Ohhh no, I have broken capillaries , what caused them? Rosacea: It is a mysterious skin disorder. For most people it first appears as a blush across the cheeks that either comes and goes or sticks around. After a while, the flushing becomes more persistent and intense, with noticeable spider-like capillaries accompanied by bumps that look like, but aren’t, acne. Extreme sensitivity and flaking round out this not-so-pretty picture. Liver disease: The broken capillaries may also indicate liver damage. Usually this only occurs after many years of alcohol abuse. Old age: When people are getting older, then elastin and collagen are becoming weaker because they are not replaces so quickly. This factor in a combination with other factors are reason why skin is becoming thinner and people are increasing their chances for getting broken capillary. When this is happening, our skin is becoming less flexible. It is a very easy to be bruised easily. People from old ages are having more chances to get broken capillaries. When they are old, blood spots on their faces can be easily identified. Genetics: Genes are also having one of the biggest roles for this disorder. When your grandparents are having broken capillary on their faces or on their arms and legs, then you are having bigger chances to get broken capillaries. It is not proven that if your grandparents are having broken capillaries, you will also have this disorder. But your chances to get broken capillaries are increased with this factor. Hormones: When people are having some changes in their hormones, then they are having the biggest chances to get spider veins or broken capillary. This disorder is more common in women compared with men. They often have broken capillaries on their faces and arms. Pregnancy, puberty and menopause are examples when women are having changes in their hormones. 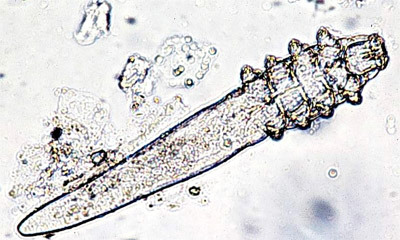 Environment: Extremely cold conditions, windburns or sunburns can easily contribute to the creation of a broken capillary. Although heat does not generally cause this kind of issue, you may notice a worsening in the redness following exercise or during hot weather. Prolonged Standing: People who spend a long time standing are more susceptible to the development of spider veins in legs. It is monitored that certain professions like stewardess are prone to them due to harsh environmental conditions and continued standing. Body Weight: Weight is another important factor for the creation of legs spider veins as high weight is associated with high blood pressure. Weight Lifting: Blood vessels might break in the eye when the pressure around the area is increased during a heavy weight-lifting exercise. Am I the only one who suffers from broken capillaries? Many factors increase a person’s chances of developing broken capillaries including increasing age, family members with a history of broken capillary or varicose veins, hormonal changes, pregnancy, obesity, sun exposure. So, it is very common ! Especially broken blood vessel in eye may be caused by a sneeze or a simple cough. Are broken capillaries painful or dangerous? Varicose veins usually enlarge and worsen over time and severe varicose veins can cause health problems. Spider veins usually do not need medical treatment. Once again, cover up makeup is great alternative to camouflaging those spider veins or varicose veins and it is not painful! 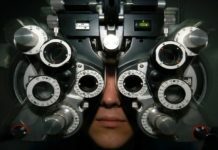 When should I visit the doctor ? Remember these important questions when deciding whether to see your doctor about broken capillaries. Has the varicose vein become swollen, red, or very tender or warm to the touch? Then see your doctor. On the other hand, broken blood vessel in eye is usually a harmless condition that disappears within two weeks or so. New technology in laser treatments can effectively treat spider veins in the legs. Laser surgery sends very strong bursts of light onto the vein removing the spider vein or varicose vein. Two to five treatments are generally needed to remove spider veins in the legs. For spider veins larger than 3 mm, laser therapy is not very practical. Ultrasound Sclerotherapy: This breakthrough varicose vein treatment allows many patients to dodge surgeries that would have been necessary for treatment of hidden veins in the past. With ultrasound guided sclerotherapy, doctors are able to see, via the machine’s external monitor, veins that are otherwise hidden from plain sight. Rather than cutting into a patient, doctors can use ultrasound to pinpoint diseased veins and treat them via injections of sclerosant, which irritates the spider or varicose veins’ lining, causing the blood to clot and the vein to shrink. Liquid Sclerotherapy: This form of sclerotherapy treatment is also known as injection therapy and is a standard treatment for spider veins, reticular veins (or blue veins) and smaller varicose veins. Your doctor will inject a specially formulated solution inside the affected vein, causing the vein wall to become irritated and inflamed, then scar and close up or shrink. With the diseased vein closed off, healthy blood vessels surrounding it will absorb the extra blood flow. Foam Sclerotherapy: If you’ve got larger and longer varicose veins, it is recommended foam sclerotherapy over ultrasound or liquid sclerotherapy treatment. In this form of treatment, a patient’s blood vessel is injected with flam sclerosant drugs that are blended with CO2 and air either inside a syringe or via a mechanical pump. This mixture gives the solution a wider reach than the solution used in liquid sclerotherapy. This mixture displaces blood inside the vein and delivers maximum sclerosant action. There are many formulations of concealers on the market today that will cover up all different types of skin discolorations such as spider veins (broken capillaries), and varicose veins. We offer cosmetic solutions…make-up does matter! The right consistency concealer, the right color, the right technique, will create the right results. An inexpensive method used to vaporize broken capillaries is the use of electrocautery. Electrocautery, also known as thermal cautery, refers to a process in which a direct or alternating current is passed through a resistant metal wire electrode, generating heat. The heated electrode is then applied to living tissue to achieve hemostasis or varying degrees of tissue destruction. Electrocautery can be used in various minor surgical procedures in dermatology, ophthalmology, otolaryngology, plastic surgery, and urology. There are many skin creams on the market that claim to improve broken capillaries but there really is no cream that can make them disappear. Tretinoin helps reduce the visibility of these capillaries because it builds surface collagen in the dermis, thus minimizing the appearance of these capillaries. Some women have reported that they feel the use of tretinoin has contributed to additional broken capillaries, though dermatologists those appearances are more due to sun exposure and aging. Tretinoin creams need prescription. However , retinol creams exist which are not so strong but have less side effects and can be bought easily online from online markets. Blepharitis Wiki suggests : Baebody Retinol Moisturizer Cream for Face and Eye Area which contains natural and organic ingredients such as plant derived hyaluronic acid, wildcrafted green tea, organic jojoba oil, Vitamin E, Vitamin B5 and shea butter. Retinol’s Age-Fighting Capabilities help diminish most signs of aging such as wrinkles, fine lines, uneven skin tone and spots with daily long term use. Improves skin tone and texture around your face, eye area, and neck while working to reduce discoloration, acne, sun damage and other marks and spots. The link between aloe vera and beautiful and healthy skin has been known and used for a very long time. This wondrous all natural product prevents aging, it moisturizes the skin in a way that no cream can, it reduces acne and helps fight against redness and blemishes, it reduces tan and helps a lot with sunburn as well as the fact that it heals external wounds and removes insect bites.This historically medicinal plant contains as much as 75 nutrients, 20 minerals, 12 vitamins, 18 amino acids and over 200 active enzymes. Aloe Vera contains Vitamin A, B1, B2, B6, B12, Vitamin C, Vitamin E, folic acid and Niacin. Minerals found in Aloe include copper, iron, sodium, potassium, zinc, calcium, chromium, mangnesium and manganese. This multifaceted plant also contains a range of other beneficial compounds like polysaccharides, mannans and lectins. This rich tapestry of nutritional potential boasts powerful healing energy for both internal and external application, making it a truly versatile and holistic natural ingredient. Blepharitis Wiki uses Amara Organics Aloe Vera Gel from Organic Cold Pressed Aloe to soothe and hydrate dry, itchy, or irritated skin; great for acne, dandruff, scalp itch, insect bites, sunburn, razor burn, and rashes. Vitamin C and lysine are an effective natural treatment for broken capillaries. These supplements are taken internally to help heal the body from the inside out. Vitamin C is important for skin health and healthy blood vessels. Lysine is an amino acid that is needed for collagen formation. While some people will experience results with one or the other of these supplements, sometimes the sum is greater than the parts.There are no conclusive studies stating that vitamin C and lysine get rid of broken capillaries, but some people report seeing a reduction after incorporating these supplements into their daily routine. Before you start taking supplements, consult with your doctor to make sure it’s a healthy choice for you. Blepharitis Wiki propose the best available product in the market: Solgar L-Lysine 1000 mg Tab. Solgar L-Lysine prevents cold sore outbreaks & reduces shingles, & also supports the health of skin tissue. It promotes the health of skin and lips, and is used by the body to produce collagen. This treatment delivers intense pulsed light directly into the capillaries and the heat causes the vessels to shrink and fade.Like laser, a topical anesthetic is often applied prior to treatment to avoid any pain and discomfort. The procedure itself takes anywhere from 2-3 minutes for the spider veins around the nose to approximately 15 minutes for a cluster of spider veins on the legs. Treatments may need to be repeated 2-3 times to get the best aesthetic result. IPL is employed in the treatment of a range of dermatological conditions including photodamage induced dyspigmentation and vascular changes, poikiloderma of Civatte, rosacea, acne vulgaris, sebaceous gland hyperplasia, broken capillaries/telangiectases, vascular lesions (small blood vessels), pigmented lesions (freckles, liver spots, birth marks ), melasma, actinic keratosis, photorejuvenation. 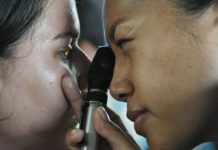 Previous articleBlepharitis Examination Learn more ! I used to suffer with very bad redness, rosacea and broken capillaries and I have tried so many products. I wasn’t holding out much hope for the Somaluxe Redness Repair but it was so reasonably priced and it calmed my redness from the first use. I do believe that with this type of thing you find what works for you by trial and error so all I can say is that after MANY years of searching I have, eventually, found a product that helps and will continue to use it. Thanks John for sharing your experience. I would recommend the visitors to try different products to conclude which suits best in their case. Great article! You have described very well about spider veins and varicose veins. It will be very beneficial to peoples having these veins issues. We can fight any disease if we have proper information about it. Also as we know prevention is better than cure, it will also helpful for others to prevent these from happening. thanks for sharing.